. Published on 九月 17, 2015 . As office and industrial space in many markets gets increasingly difficult to find, a real estate Web site is launching a new service this week that allows companies to find and swap space. The service is geared toward markets with low vacancy, said Hans Hansson, president and founding partner of the site, TradeAddresses.com. Once the Bay Area site is under way, the service will debut in Seattle, New York and Austin. Those markets have a “lack of space, are technology-oriented, and we have boots on the ground there to support the business,” Hansson said. The site allows companies to “trade their leases to accommodate their actual needs,” when it is difficult to find space on the open market, Hansson said. Trades can include leaving some or all of a space’s furniture and equipment. There is no guarantee that the lease price will remain the same when swapping, though. “It’s not about trading rent, it’s about securing space,” he said. TradeAddresses since 1999 has been generating commercial real estate transactions. The company added the swapping service in 2000, but after seven months and about 25 trades, the market crashed and the company ended the service, Hansson said. This is the first time industrial space is being included in the service. Hansson, a real estate veteran who is president, principal and founding partner of San Francisco real estate company Starboard TCN Worldwide, reinvigorated TradeAddresses with partners Jim Osgood, owner of office space referral and information network OfficeFinder.com, and Carl Bosse, owner of The Associate Realty of the Americas, a national network of high-end residential and commercial agents. Tech companies are likely candidates for using the service because they are “fluid,” Hansson said, but other types of companies also are potential users. 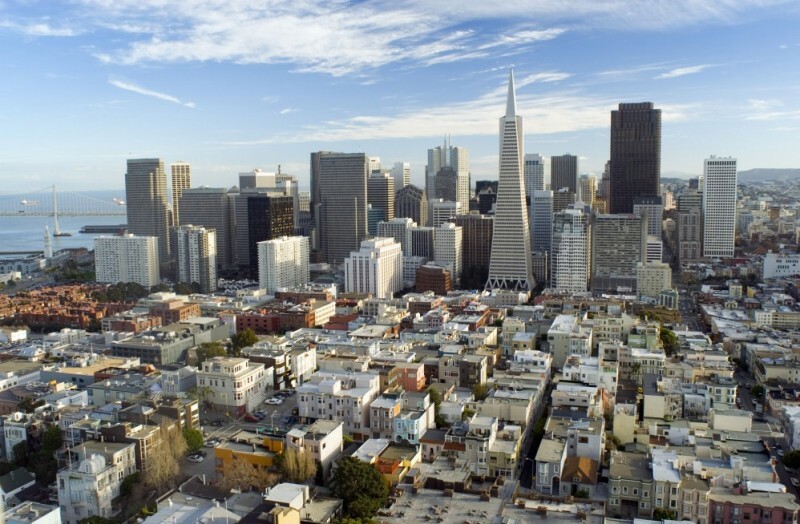 Bay Area office vacancy is at 9.1 percent and has declined for 21 consecutive quarters, according to a second quarter 2015 report by commercial real estate company DTZ. Space also is being taken quickly. As an example, since early last year, 4.6 million square feet in new development projects in Silicon Valley has been pre-leased, 99.5 percent by technology companies, according to a recent report analyzing the top 30 tech cities in North America by commercial real estate firm CBRE Group, Inc.
Hansson said the company added industrial properties to the service because much existing product is aging, little new industrial space is being built and some sites are being converted to mixed-use or residential developments. Industrial vacancy in the Bay Area was 3.4 percent for the second quarter this year, down from 4.6 percent during the same period in 2014, according to a DTZ report. TradeAddresses also allows a company “to test the waters” before telling a landlord it wants to sublease, Hansson said. In some leases, a landlord could take back space intended to be sublet before a company finds new space, he said. Site users can post and seek space for free. They initially do not give a name or address and just enter information about their space such as size, general location and length of the sublease. This is primarily done because most leases have provisions where the landlord, once notified of intent of a sublease, has the option to cancel the remainder of the lease. Both companies pay 4 percent of the remaining lease term to TradeAddresses if a trade is made. TradeAddresses uses its own brokers—called trade facilitators—who use a proprietary database to access off-market space and work with the companies. Companies also can find space on TradeAdresses then turn the deal over to their own brokers, though TradeAddresses would still retain its fee if the trade is made using properties listed on the site. Additionally, companies listing a property on TradeAddresses can still market their property in other ways. Hansson said that in a traditional market, the service likely would not be necessary. “It handles inefficiency in the market today, because there is no space,” he said.